I was going to speak todayabout the necessity for an open-mind as you approach new opportunities, newenvironment and new paradigm, the need to have stamina in times of difficultyand to not be afraid to take the road less travelled. But I believe most of youknow this or you wouldn’t be here today in the first place. Close to thirty years ago,I was where you are today and only a few years before that, it would haveseemed impossible to me that I would ever sit where you are today. You haveearned this seat, through intelligence, diligence and discipline, my deepestcongratulations to all of you. For all the cynicism in the world today,especially given how people perceive the practice of law, I encourage all ofyou to preserve your optimism, idealism and passion for what you do. You have proven that youhave a lot to offer this world, now you need to prove you can make adifference, whether that be in the courtroom, classroom, NGO or office lead byexample because ANYTHINGIS POSSIBLE! I want to share with you some of myexperience in the hopes that it encourages you to not accept barriers at anycost. As a teenager, I was sentto a railroad construction site deep in the mountains in Western China. Foodwas rationed and workload was heavy. However, what made it more unbearable wasthe lack of knowledge and information. I devoured every piece of paper that hadany word on it, like a hungry man. Together with a few co-workers we started astudy group called "The Communist Laborer's Night School", with thefew old text books we brought with us, and a radio we used to learn Englishfrom VOA and BBC, at the risk of imprisonment for listening to "enemystations". After 3 years of hard laborand a head injury, I was given a job in an artillery factory making machineguns. I biked about 10 miles twice a week to learn English taught in the RadioEngineering School of a university in Xi'an. Most of the 200 people quitted theclass during the one-year study, and I was one of the dozen remaining, togetherwith the chief engineer of my factory, who later put in a strong recommendationfor me to go to college in Beijing, without having ever been to a high school. After graduating from bothcollege and law school in BJ, I was sent as an exchange scholar to work in alaw firm in California. Boy I remember the cultural shock I had when I firstarrived in SF in 1982! There I realized that my knowledge of law was utterlyinadequate to deal with international transactions, which I was supposed toteach back in Beijing. I decided to go through the hardship of studying for aJD degree in the US. That started my honey-decades with Duke law, which gave mea full scholarship and a fuller education in American law. I was once asked by ahard-struggling law student from China why I seemed so happy and content withmy studies then, living mostly in the law library. I answered, if you haveexperienced the deprivation of knowledge for so long as I have, you would, too,view this place as the heaven of learning. 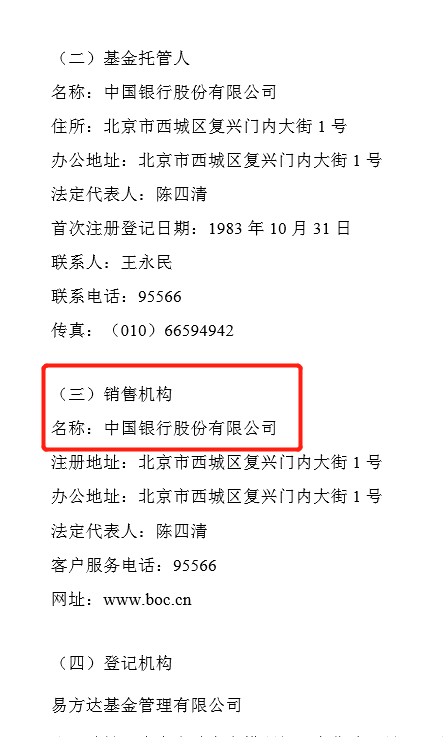 I said that despite the manyoccasions when a few professors would vote against granting the scholarship toa "red Chinese", or some fellow students spoke right in my face thatthey were "abhorred" by the Chinese communist system. When I waslater asked of a similar question as a junior associate in the sweat shop of aWall Street law firm, I happily told the fellow associate that Vladimir Lenintaught me to learn your skills so to dig the grave for capitalism. The ensuing 1987 financialcrisis jolted me to an opposite direction, though. I was so fascinated by theintricacies of the capitalistic financing machines that I decided to study itcarefully and try to transplant it to my own home country. I went back to Chinain the summer of 1988, after visiting most of the stock exchanges in Europe andsome in Asia, in a seemingly fool-hardy effort to persuade the Chinesegovernment forthe establishment of a capital market. Among all the people whowere skeptical of our idea, was an American consul in Beijing. Aftersuspiciously questioning my intention to have gone back to China and hearing myexplanation about my ambition to start the stock market there, he said, this isall BS, and tore up my application forms. This is in early 1990, when I appliedto come to teach a short course at Duke law. By the end of that year, we havehelped the opening of two stock exchanges, the SHSE and the SZSE, which have acombined market cap of several trillion dollars today. Two years after, theunintended consequences started to show and the central government finallyadopted our proposal of setting up the regulatory agency and persuaded me tojoin it. Being a regulator is likebeing a matchmaker, when the marriage is successful, the couple would thinkit's their own good fortune, will be busy enjoying themselves and very seldomgrateful to you. But if anything goes wrong, then both sides blame you for it.I got just that sort of treatment, blamed all the time, for good or badreasons. I was yanked out of the agency to run the newly established SocialSecurity Fund in 2003, and then, 4 and half years later, the Sovereign WealthFund. After almost 7 years serving as an investor, I'm finally relieved of myduty and allowed to retire to do what I love the most, i.e., working with youngpeople every day, teaching and, more importantly, learning. Why do I want to tell youthe boring story of a personal life? Because I can't help offering you myadvice, having made so many mistakes and suffered so many detours. Here are thefew things I learned in life in the vain hope that you would avoid them. 1. Different views,different people, different culture and different ideology may not necessarilya bad thing. They just teach you to be more tolerant and open minded. Vive ladifference, as the French would say. 2. Taking hardship is notnecessarily a bad thing, it may pay in the long run. Of course in the long runwe will all be dead, as Maynard Keynes said. And that's why we need the nextsuggestion. 3. Taking the road lesstravelled is not necessarily a bad thing, it just makes your life much moreinteresting. Let's try to live an interesting and significant life. 4. Setting high materialdemands in this world today is not necessarily a good thing, as it may keep youfrom realizing your ideals or keeping your vision. I want to leave you todaywith the words of the great American poet, Max Ehrmann because he said itinfinitely better than I can. Hope you guys can remember this as you go forth. Go placidly amid the noiseand haste, and remember what peace there may be in silence. As far as possiblewithout surrender be on good terms with all persons. Speak your truth quietlyand clearly; and listen to others, even the dull and the ignorant; they toohave their story. Avoid loud and aggressivepersons, they are vexations to the spirit. If you compare yourself with others,you may become vain and bitter; for always there will be greater and lesserpersons than yourself. Enjoy your achievements aswell as your plans. Keep interested in your own career, however humble; it is areal possession in the changing fortunes of time. Exercise caution in yourbusiness affairs; for the world is full of trickery. But let this not blind youto what virtue there is; many persons strive for high ideals; and everywherelife is full of heroism. Be yourself. Especially, donot feign affection. Neither be cynical about love; for in the face of allaridity anddisenchantment it is as perennial as the grass. Take kindly the counsel ofthe years, gracefully surrendering the things of youth. Nurture strength of spiritto shield you in sudden misfortune. But do not distress yourself with darkimaginings. Many fears are born of fatigue and loneliness. Beyond a wholesomediscipline, be gentlewith yourself. You are a child of the universe, no lessthan the trees and the stars; you have a right to be here. And whether or notit is clear to you, no doubt the universe is unfolding as it should. Therefore be at peace withuniverse, and whatever your labors and aspirations, in the noisy confusion oflife keep peace with your soul. With all its sham, drudgery, and broken dreams,it is still a beautiful world. Be cheerful. Strive to be happy.